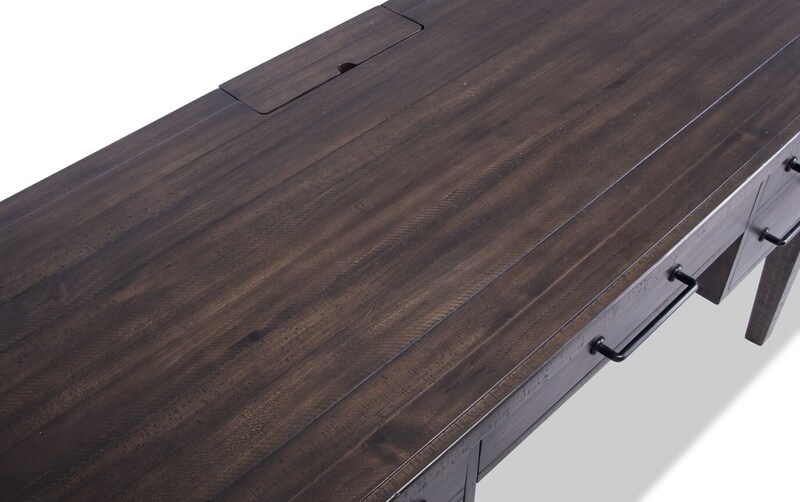 Storage and organization are a piece of cake with my rustic Montana Desk! 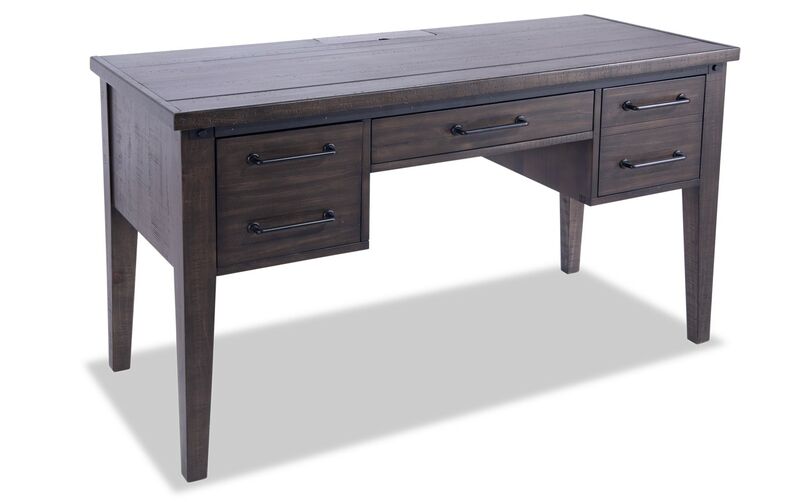 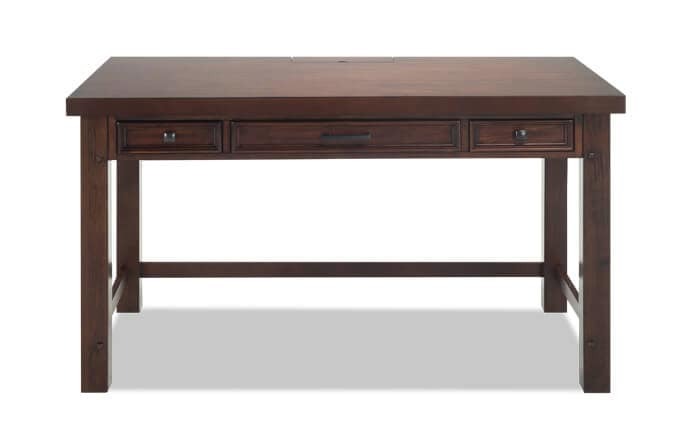 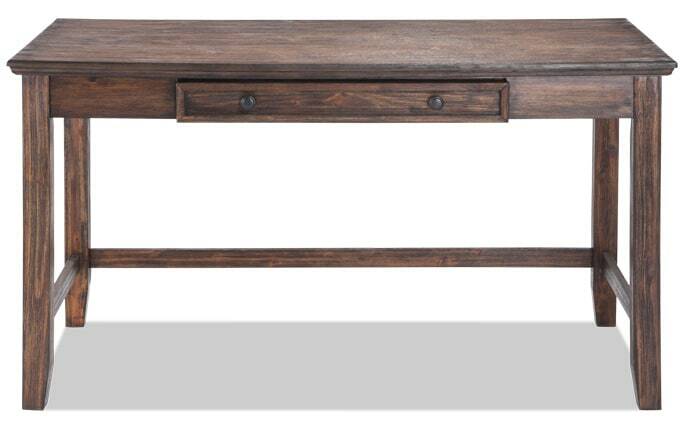 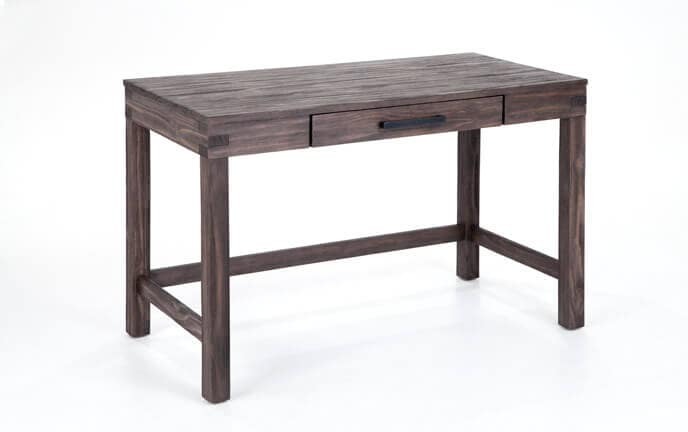 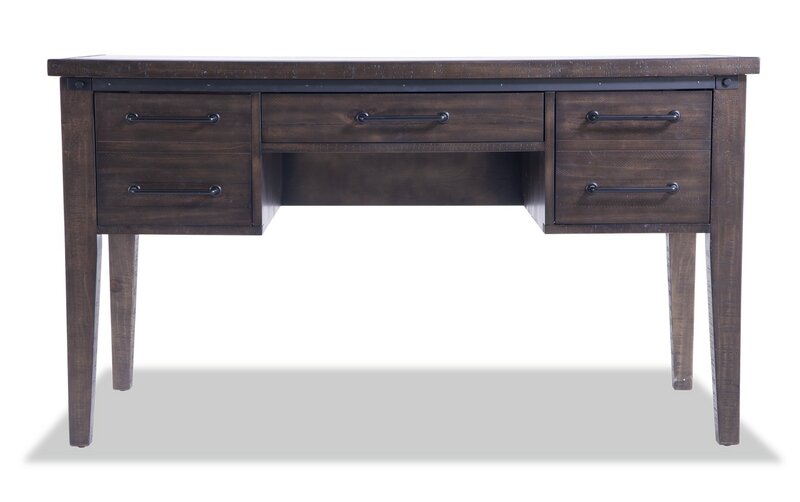 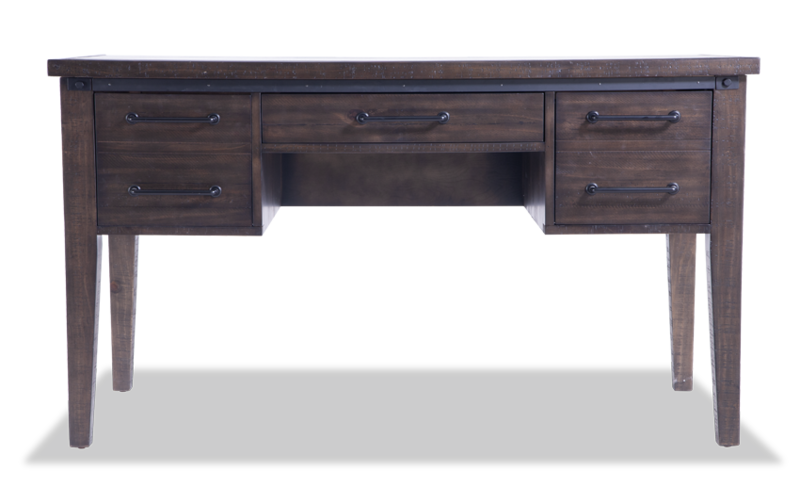 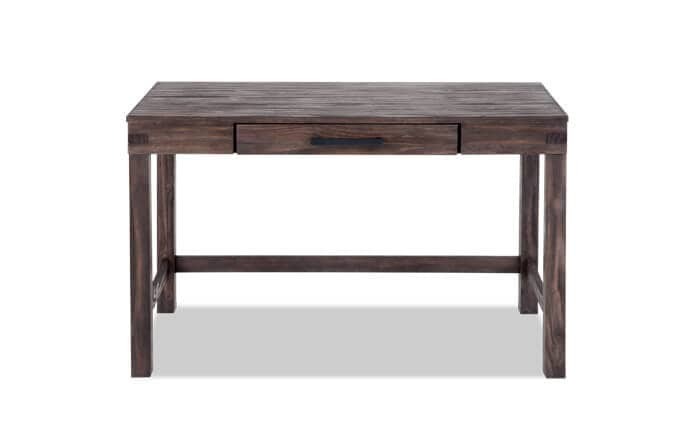 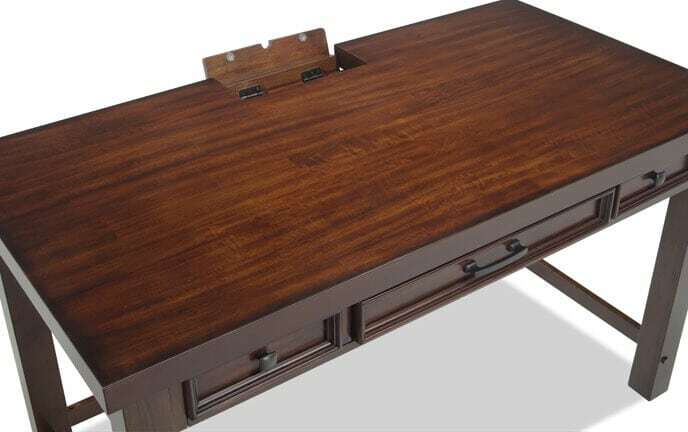 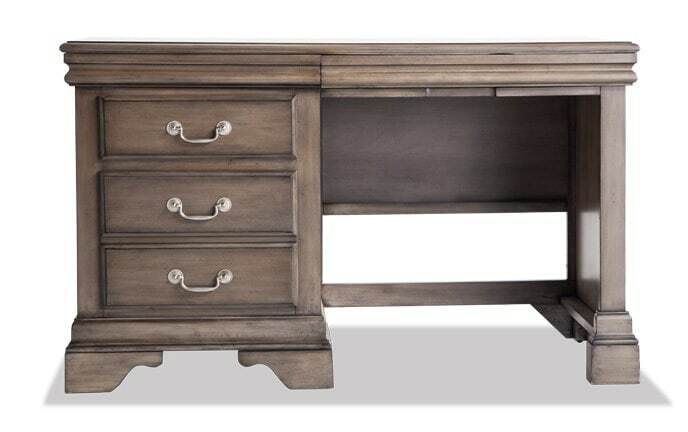 Constructed of pine solids and veneers, this handsome desk has tons of storage space. 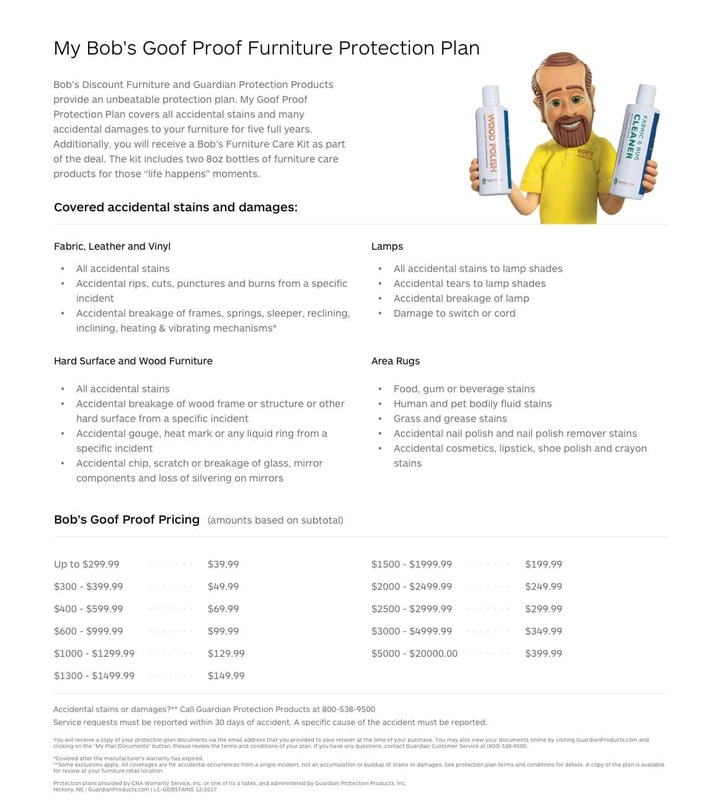 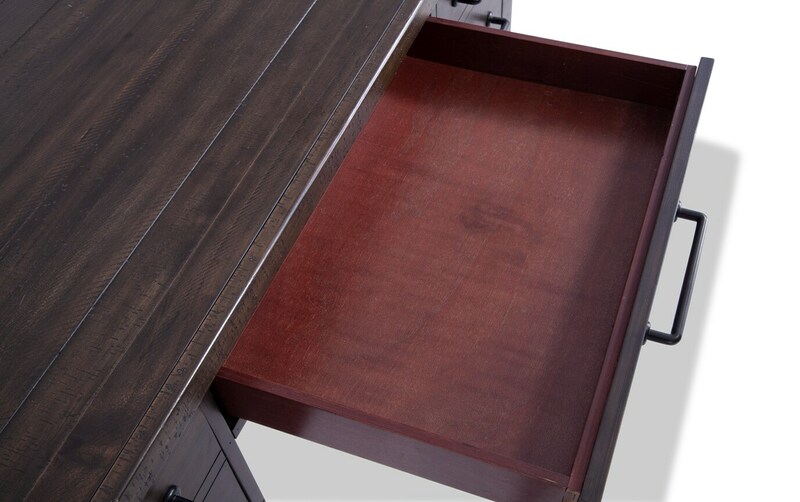 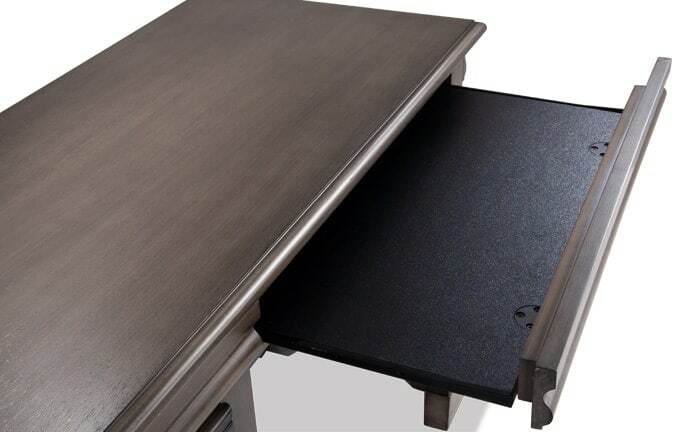 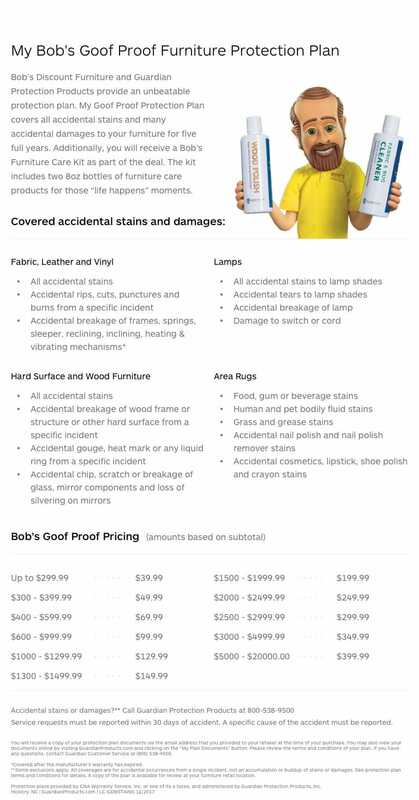 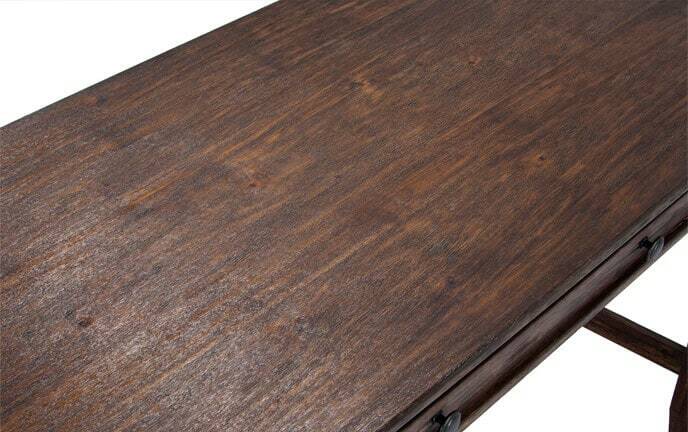 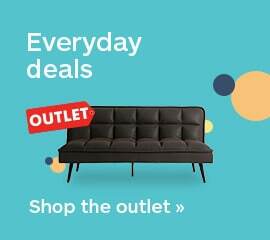 You've got the convenience of a few drawers, as well as the surface of the desk. 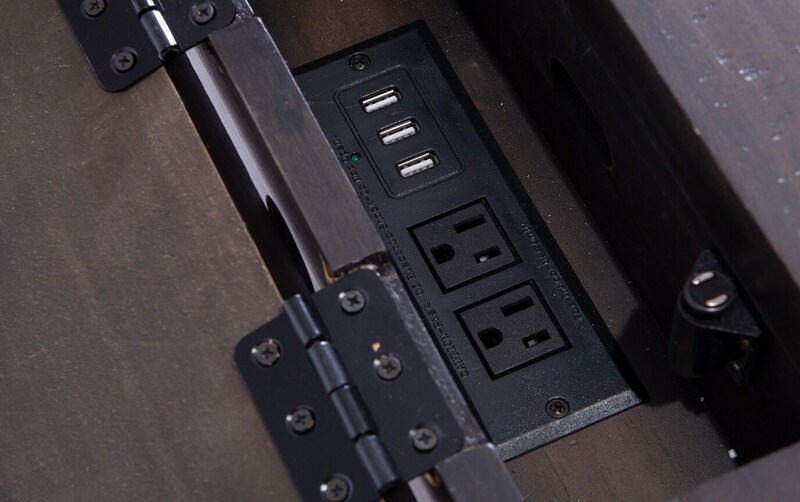 Charging devices is easy while you work, thanks to the power outlets and USB ports- hidden out of sight by a neat compartment. 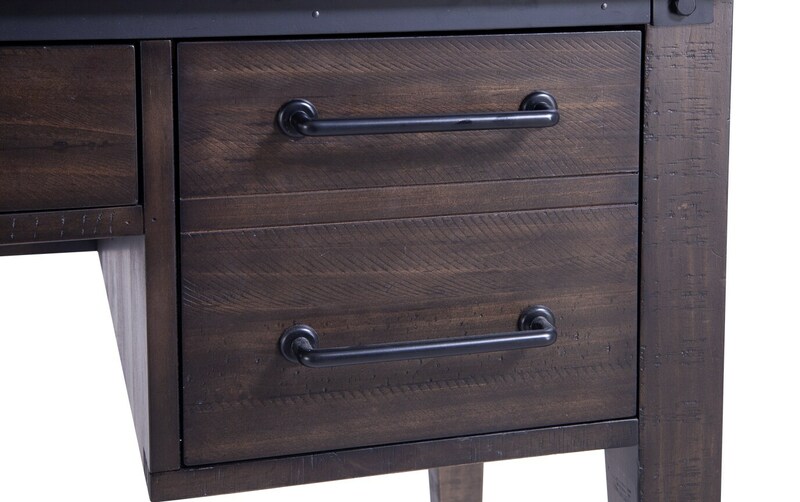 Finally, the stylish hardware completes the look on this home office or bedroom piece!